It was the first year Learning Enterprises teamed up with the Ministry of Education (MEDUCA) to discuss real change on ways for improving the Panamanian education system. 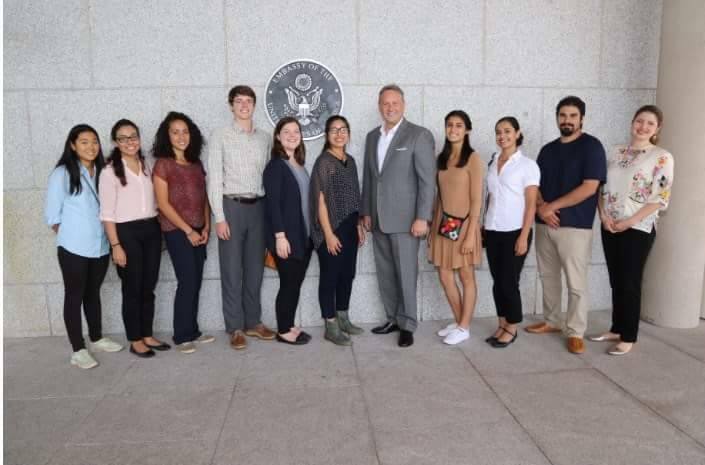 Over the years , Learning enterprises has become well known in Panama , and in 2016 LEPanama was invited to the U.S Embassy where they were personally thanked by the U.S ambassador for sparking a great change in the Panamanian education system.This experience has by far been the biggest in LEPanama history. Jasmine is a UC Berkeley alumni and was a teacher volunteer for the Panama program in the summer of 2015. She returned as program director for the summer of 2016.